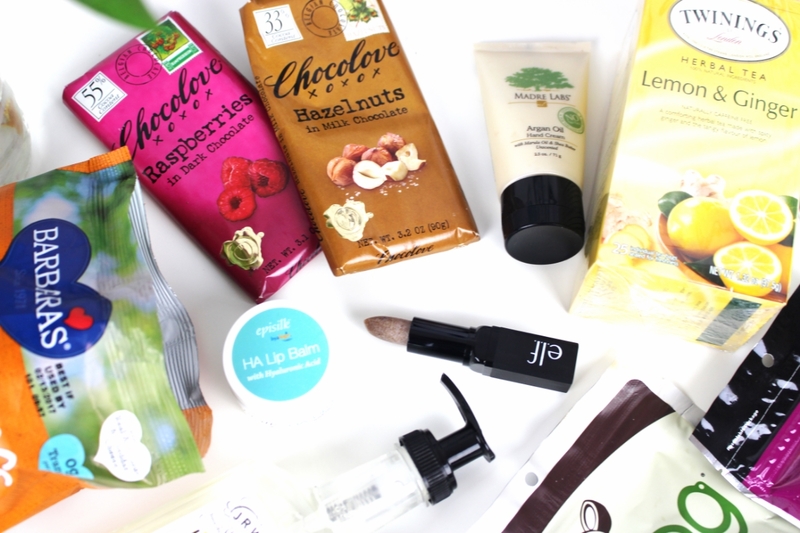 Beauty AND Snacks from iHerb?! Recently, I found the best store possible for all of my obsessions. I like beauty. I looove skincare. And I love food, need food. I get hangry without food. Know what I mean? To find all of my favorite things in one place? This is NOT a drill people. I repeat, this is not a drill. This post is sponsored by iHerb. As always, all opinions and thoughts are my own. 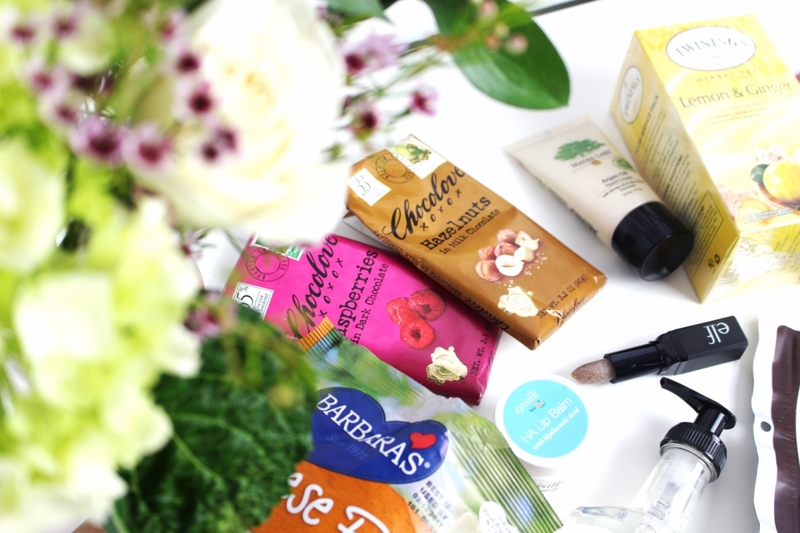 My beauty products come from some of my favorite beauty stores, and my groceries come from various grocery stores. It is always so incredibly annoying having to go from one store to the next on my days off to get all my beauty products (like the soap, shampoo, lip balm, etc.) and then go to several more stores to get groceries. iHerb is an online store featuring many different goodies ranging from beauty products to pet supplies, to sport supplements, groceries and much more. When you can shop a wide range of products in one place, it makes your shopping experience more efficient and more enjoyable. Plus I don’t have to go anywhere. I can get everything I need by ordering it from my couch. What a win. 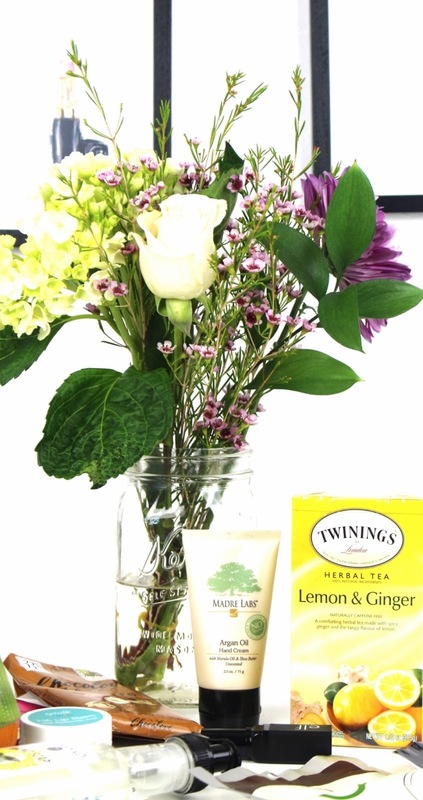 The best part about iHerb is that you can buy so much for $50! Because I’m a beauty and snack fanatic, I spent $50 buying lemon tea, rose hand wash, lemon hand wash, hazelnut chocolate, raspberry chocolate, berry nut mix, dates, cheese puffs, coconut chips, lip balm, antidandruff shampoo, lip exfoliator, hand creams x 2. 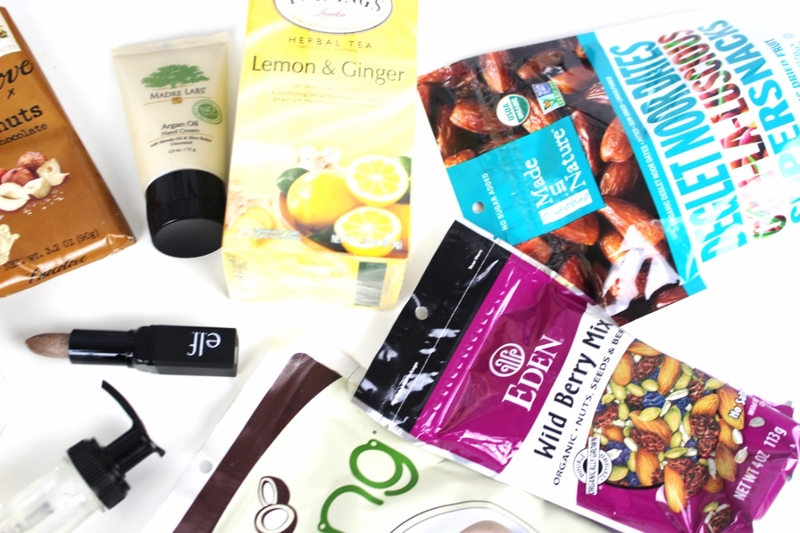 14 items for $50 from the beauty, skin care and grocery side which I think is phenomenal. Normally I’d have to go to multiple stores to get everything I need, and I wouldn’t even find my favorite products or snacks through the multiple stores. Some of the snacks I got were for me, and half were for my boyfriend, because let’s be honest. He eats most of my snacks anyway, and he definitely loves that raspberry chocolate. The chocolate was delicious, the cheese puffs were the best cheese puffs we’ve ever had (and the ingredients were so good!) and the beauty products are awesome. Loving the antidandruff shampoo and how well it works and the hand soaps are gentle, smell great and also decorate my sink and the kitchen sink so well. This hand cream is so good, and has transformed my hand game. It’s so important that my hands are hydrated given I shake hands with people all the time. My lips have never felt better, given this lip balm has truly hydrated them. I’m so glad I got to pick everything I wanted because I got so many amazing things for $50 and everything is so unbelievably high quality. iHerb carries over 35,000 products and ships to over 160 countries. Honestly you will find so much online that you’re going to love. It is a Google Trusted Store and when I was shopping online, the entire process was quick and easy. Given I’m somewhat of a web expert and help build websites during my day job, I am well versed in good user experience. Shopping online can be super annoying (seriously) and going through the motions on iHerb’s site was easy and intuitive. Depending on what language you speak, their customer service has the capability to speak ten different languages which opens them up to help so many more people. Much of the world can speak a bit of English, but when you add another 9 languages on top of that, the possibilities are endless. If you’re looking for an easy way to shop, head to iHerb where you’ll get $5 off your first order! Have you ever found a store that sells all of your necessities in one place? What’s your favorite item from my haul?